Tis’ the season of giving back, cleaning out your wardrobe and helping others! This is something I try and do monthly and found a local women’s shelter to donate to, but I always love and try and support brands that share a similar mission of helping others in the community. 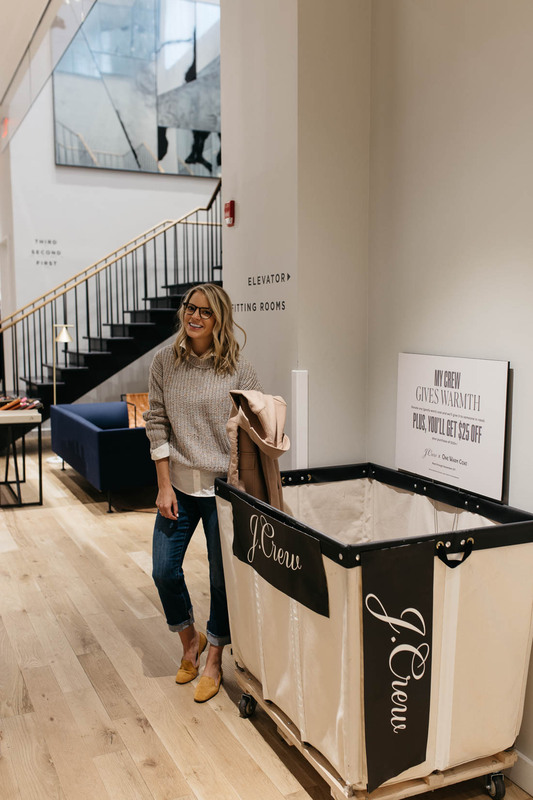 J.Crew has combined forces with the charity One Warm Coat for an incredible initiative. If you bring your gently used or old coat into the store you get $25 off $125 or more! Most stores will have a “drop-off” bin where you can drop off your coat and support the cause. Something like this is such a win/win for everyone. I know this time of year, especially in the city, can get chilly so it is important to help make sure all those that are in need can get a coat to keep warm. I had a couple of tan coats laying around from the past few seasons and knew I didn’t need that many of the same color. 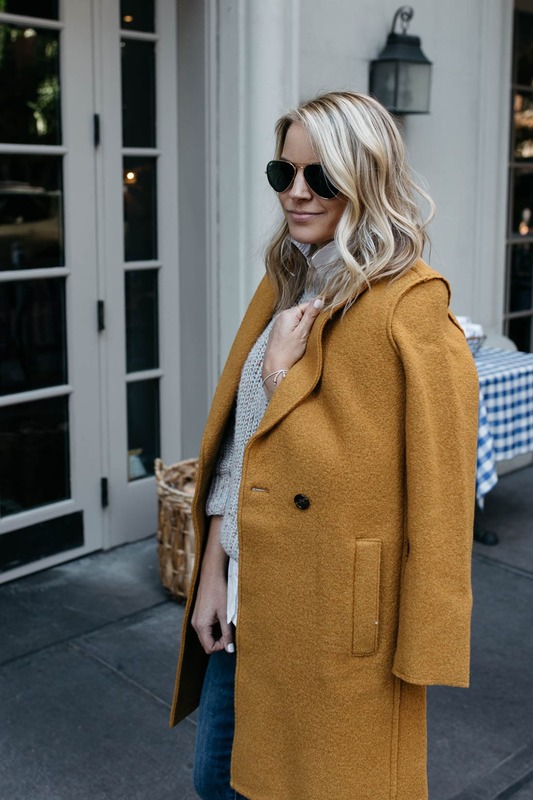 I decided to donate this light tan coat (image where I am dropping it in the bin) and pick up a fun warm camel colored one from J.Crew with my $25 off! This is a fun cause to get your friends, family, significant others and co-workers involved in as well. I know a lot of people try and give back this time of year and this coat drive is simple and easy. I went to the J.Crew on 5th Avenue in Flatiron to donate and shop, but you can go to any of your local stores. After Matt, Hadley and I donated our coats we headed to Claudette down the street for a yummy brunch! 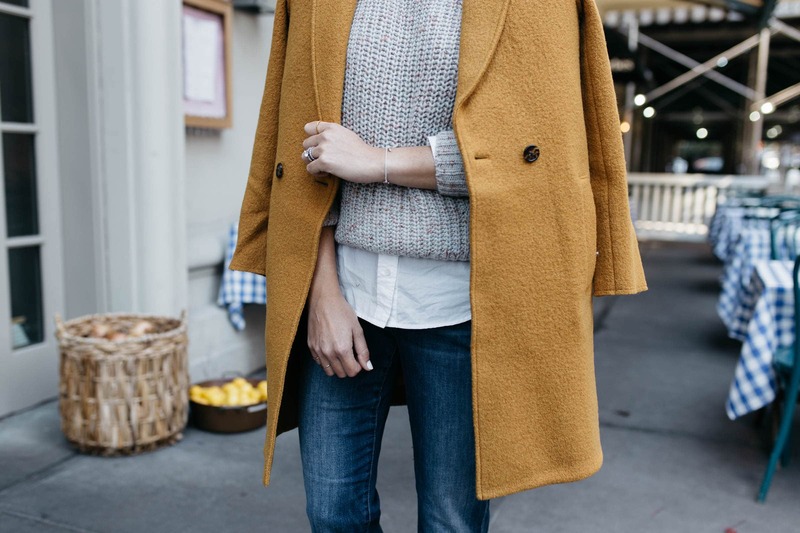 If you are in search of a new coat for fall or winter for yourself, J.Crew has a pretty amazing selection. You can check out all their outwear here (personally I love that they typically offer each coat in a few different colors). Would love to hear about any other charities you all might know about and I can help spread the word! Let me know if you end up donating in the comments below! 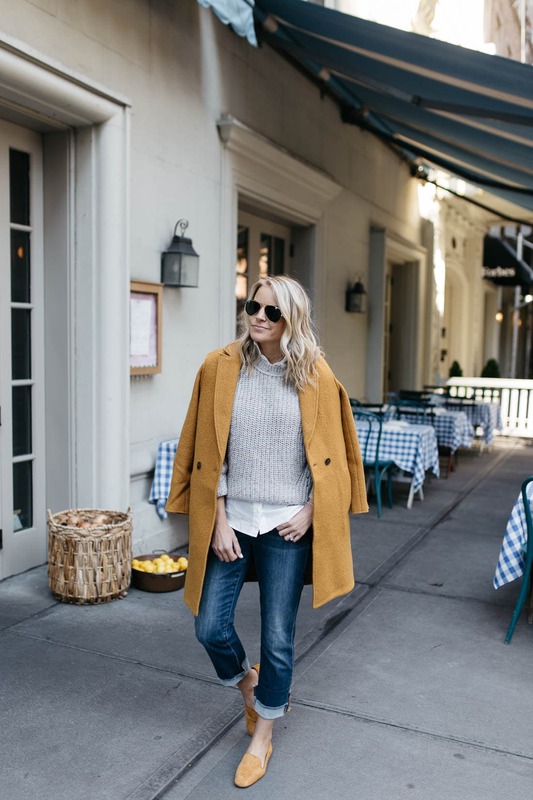 A big thanks to J.Crew for partnering on this post!